The SPACES Application for iPhone and Android users! In 2017, a new feature has been launched to help improve the SPACES experience. Arts Huntsville has designed and launched an app for your smart phone. Use your app store to find the free app to download to learn more about each sculpture in Madison and the greater Huntsville area. Below is a image of the app once you install it on your phone. We hope you enjoy the new Application. 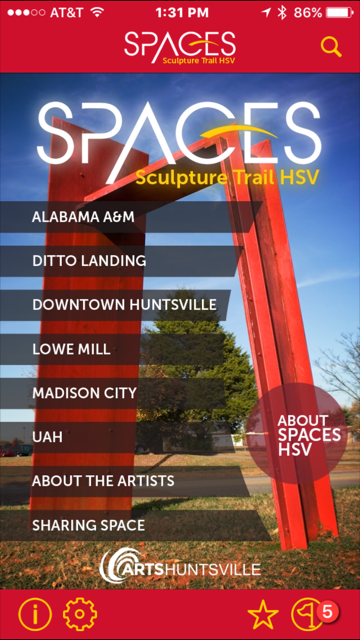 In 2012, the Madison Arts Council teamed with the Madison City Council and city leaders, The Arts Council of Huntsville, and Huntsville city leaders to expand the SPACES Sculpture Trail into Madison. Initially slated for 4 sculptures, Madison’s participation for 2012-2014 has grown to 8 works displayed with the generous funding from Madison City Council along with help from The Arts Council. You can find the works of art at the following locations: four at Dublin Park, three downtown and one at City Hall. The SPACES Sculpture Trail is a collaborative project that began with a trip to Chattanooga in 2009 attended by various interested parties. The inaugural biennial trail was launched in December, 2010 and ran through August, 2012. 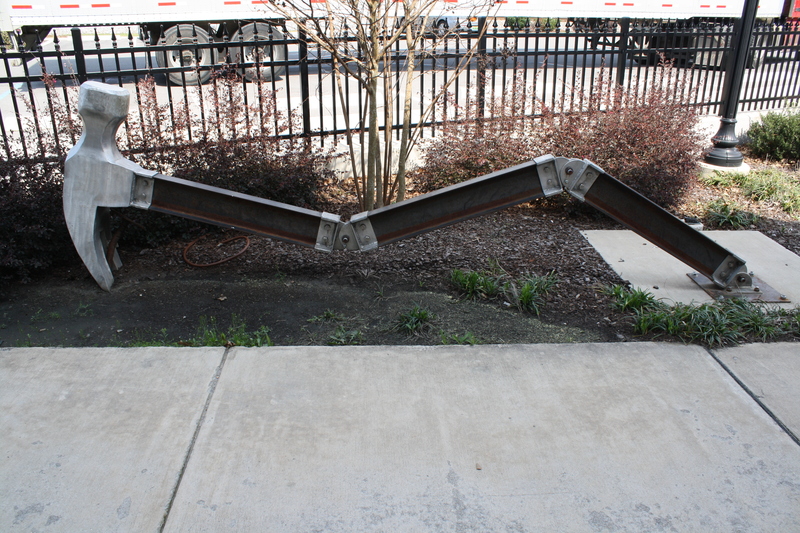 The 2010-2012 SPACES Sculpture Trail included 28 works at 6 different locations, including UAHuntsville, Lowe Mill, VBCC, the Huntsville Museum of Art, the Huntsville downtown square, and Alabama A&M. Funding support for the 2010-2012 Trail was provided by the Downtown 47, the city of Huntsville, RBC Bank, UAH, the Huntsville Times, Alabama State Council of the Arts, Leadership C-11 and private and in kind donations. Interest in a sculpture trail project for Madison began in the spring of 2011 with a group called “Madison in Motion” which included representatives from the Madison Arts Council, the Beautification Board, 16 Main Street, and others. In the fall of 2011, the Madison Arts Council began exploring the possibility of the expansion of The Arts Council of Huntsville SPACES Sculpture Trail to include Madison. 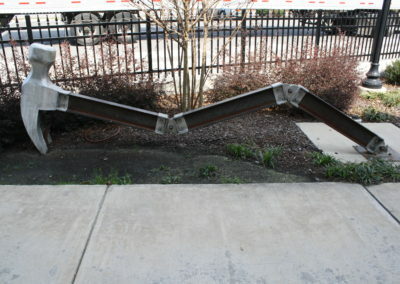 In 2012, the sculptures were installed. MAC is excited to have such wonderful support in the community to bring public art to our growing city. The Trail is promoted via brochures, a web site, and walking, cell phone and GPS interactive tours, and Madison’s works will be included in 2012-2016.